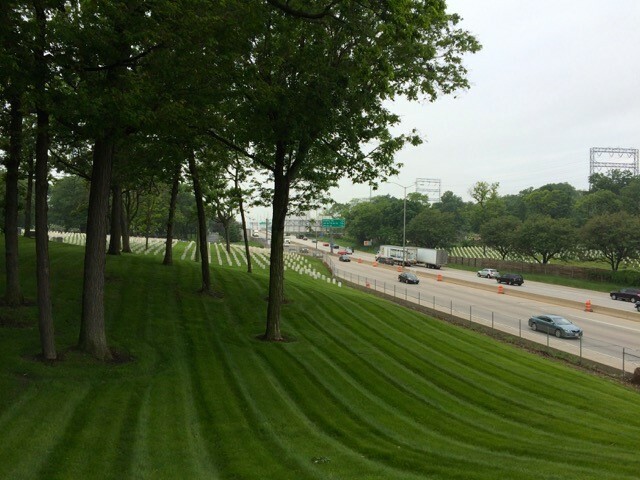 Wisconsin Department of Transportation (WisDOT) has released a draft environmental impact statement (DEIS) that seeks to expand 3.5 miles of Interstate 94, through historic neighborhoods and cemeteries in Downtown Milwaukee. The plan provides two alternatives, both of which result in expansion. Although the City of Milwaukee has passed a resolution against the proposal, WisDOT continues to maintain that the expansion is essential to the South Eastern Wisconsin Freeway System. The DEIS relies on faulty data and analysis to justify the expansion project. 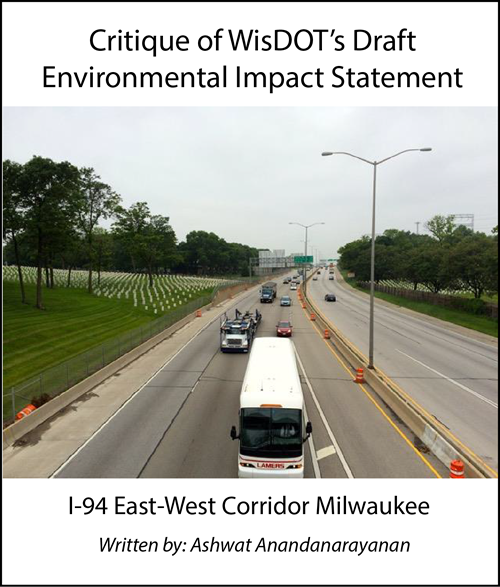 Through a series of posts, based on our report: Critique of WisDOT’s Draft Environmental Impact Statement, I-94 East-West Corridor – Milwaukee, we will show you the shortcomings of WisDOT’s analysis and offer our own recommendations for this 3.5 miles. Read the Full Critique here and the first post – WisDOT Alternative Could Lead to More Severe Crashes here. Our analysis reveals that there are several more cost effective ways to enhance transportation system performance in Milwaukee. Highway capacity expansion will reduce quality of life, increase GHG emissions and further marginalize frontline communities in Milwaukee. 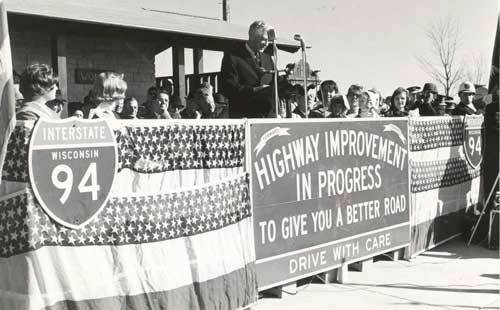 The portion of Interstate 94 (I-94) in Milwaukee under consideration was completed in 1963 – and was a vestige of the indiscriminate urban highway development that took place in that era. Like other urban freeways, it was intended to provide access to downtown cores, revitalize economic activity and bring suburban populations in and out of city limits easily. However, many cities have since realized that these highways have been responsible for several societal ills. Vibrant communities were bifurcated to make way for high-speed access controlled roads that shut down local businesses. Cities lost valuable and taxable real estate. Urban freeway corridors, due to their high speed and access control became dead zones that did not contribute to any economic activity. These freeways also served to perpetuate the marginalization of communities of color, as it was most often these areas that were chosen for freeways. With many of these roads now reaching the end of their useful life, including this stretch of I94 in Milwaukee, cities are exploring options to determine their future. With the aging of this particular section of the freeway, WisDOT has been presented with a unique opportunity to produce and implement a plan for the region that is in line with unprecedented demographic changes taking place in Wisconsin and across the nation. 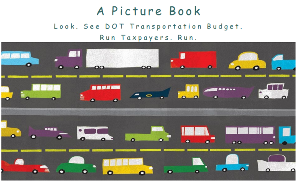 In the case of Milwaukee, the DEIS prepared by WisDOT proposes an expansion of the highway, citing a combination of outdated infrastructure standards, large expected increases in traffic, high crash rates and the importance of this particular link to the local and regional economy. The DEIS ultimately provides two alternatives for the corridor – both of which involve adding automobile capacity. The first is an at-grade expansion that seeks to install an additional lane in each direction through a combination of infrastructure changes – that includes the closure of certain exits and entrances onto the highway. The second option calls for “double decking” one portion of the stretch, with one direction of traffic relegated to a proposed upper bridge. 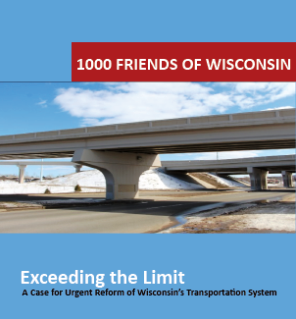 Our analysis explores the EIS and objectively tests WisDOT’s assumptions, data and conclusions and presents evidence that their justifications for recommending increasing capacity in the corridor are flawed. 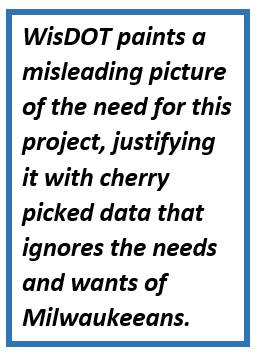 We find that WisDOT paints a misleading picture of the need for this project, justifying it with cherry picked data that ignores the needs and wants of Milwaukeeans. 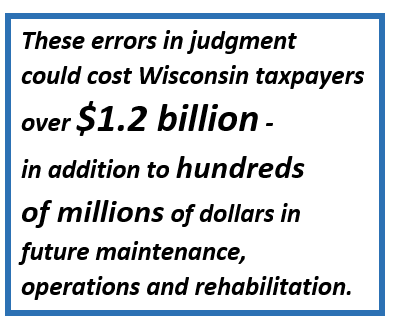 These errors in judgment could cost Wisconsin taxpayers over $1.2 billion in capital investment alone, in addition to hundreds of millions of dollars in future maintenance, operations and rehabilitation. Future residents will be stuck with the bill for a project that current data indicates will be underused and detrimental to the region as whole.